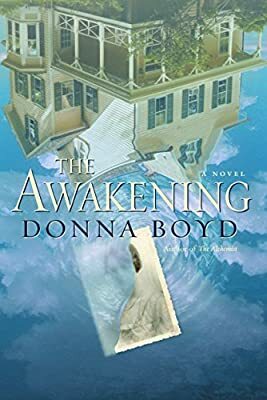 Author: Boyd, Donna Set In . . . Description: It was supposed to be a time for healing. But it soon turned to horror. Paul and Penny Mason are spending the summer at the family lake house with their troubled, teenage daughter, Elsie, in a last-ditch effort to save their crumbling marriage. But the tension between them only thickens when they arrive at their once-idyllic summer home, a place that now feels eerily cold and darkly foreboding. It quickly becomes clear that all is not right. Penny is plagued by horrific, recurring nightmares. Paul and Elsie are surprised by the curious appearance of a sad, strange woman—a woman who purports to know them, but who calls them by names that are not their own. The mystery only deepens when they discover an antique box in the house. Inside is a photo of the woman, alive in a distant past. Who is she? And what is the source of the seeping, chilly discomfort that has suddenly settled over the family? The answer lies within Penny’s disturbing dreams and Elsie’s fragile emotional state—and when long-buried secrets reveal themselves, it will be the most frightening day of their lives. . . .